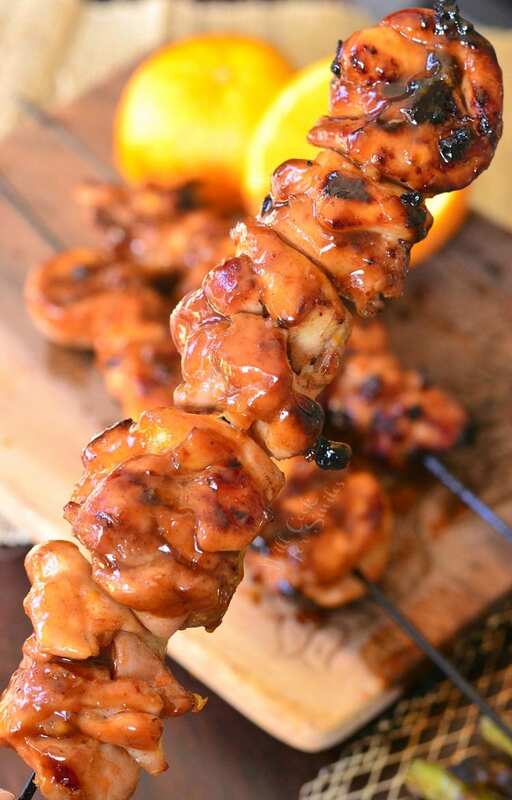 Juicy, tender, flavorful chicken thigh kebabs made on a grill with a sweet and spicy orange sauce. 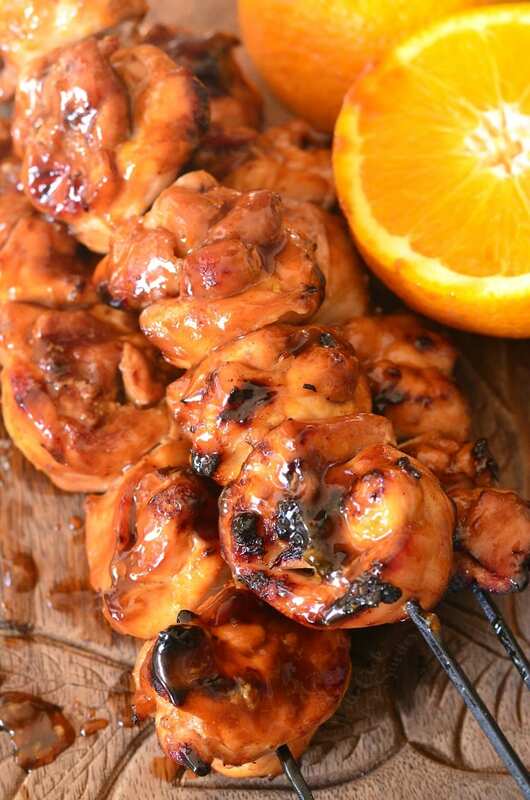 These orange chicken kebabs are grilled with and then slathered in a delicious orange sauce. 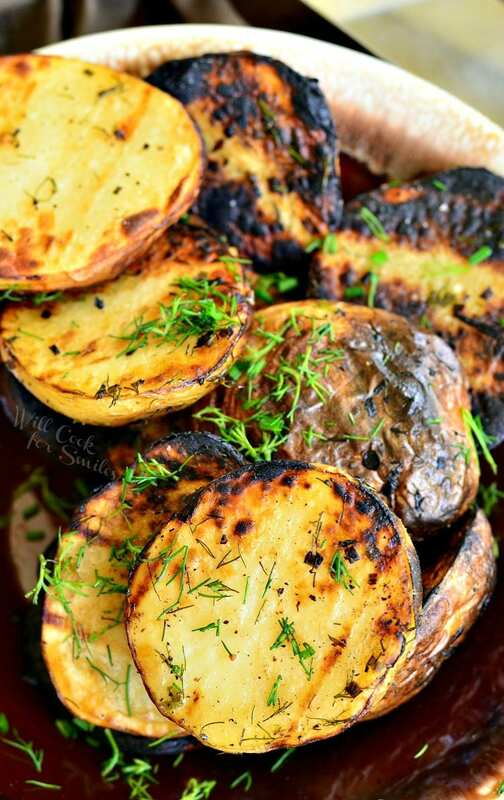 Do you have a favorite thing to make on a grill? 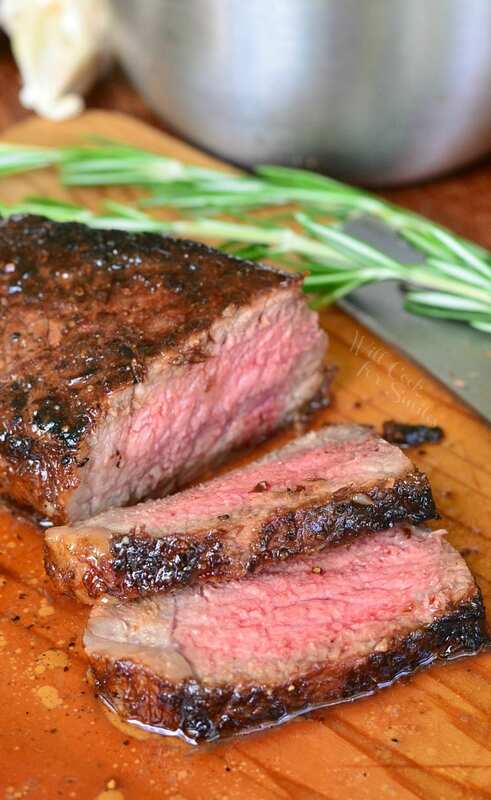 Everyone can probably guess that my husbands go-to grilling dish is a nice, big, juicy steak. For me, kebabs have always been my favorite camping/grilling recipes. 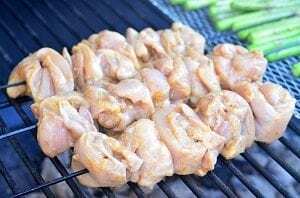 It comes from my childhood when every time my family and friends decided to go camping or grilling, we always prepared chicken kebabs. In Russia, kebabs are just about the most popular thing to cook over campfire, and chicken was always my meat of choice. Chicken thighs are always the best part of the chicken (not counting crispy skin, of course.) I am the first one to “call dibs” on drumsticks at the holiday dinners and when possible, I choose dark chicken meat for my recipes. 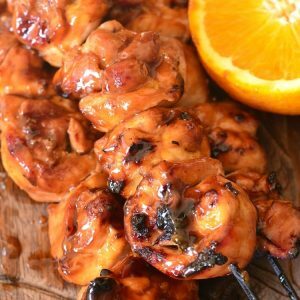 These chicken kebabs are no exception to any other delicious meats I’ve grilled, I’d even say that they are extra tasty. 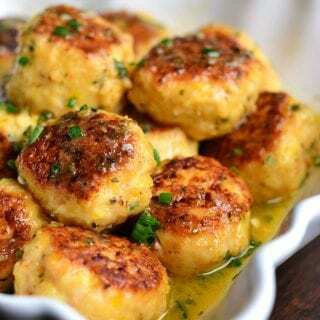 They are cooked in a delicious orange sauce and then, cooked chicken meat is slathered with the sticky orange sauce some more. Sticky orange sauce is made a little spicy here and as always, you can adjust the spice level to your own preference. I love the combination of sweet and spicy flavors with a savory chicken. 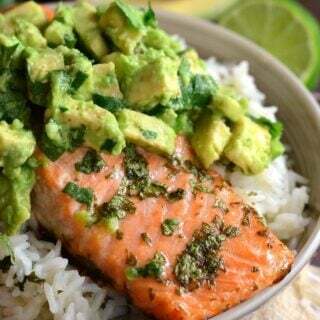 It provides a nice flavor balance for your taste buds. 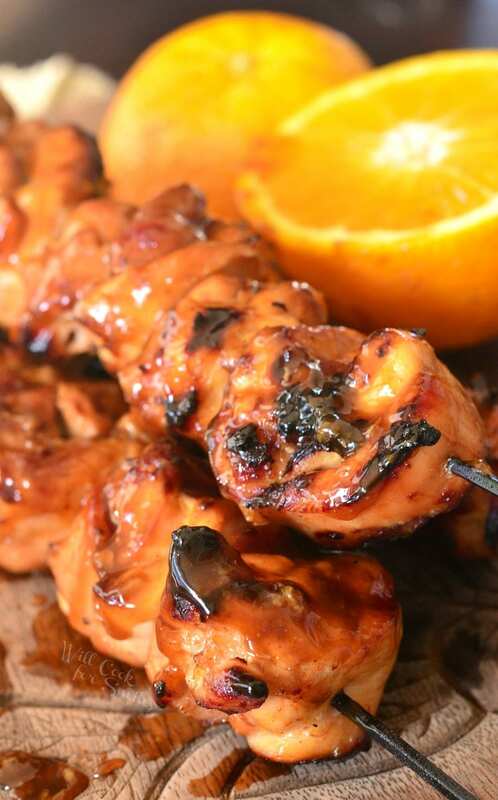 Juicy, tender, flavorful chicken thigh kebabs made on a grill with a sweet and spicy orange sauce. 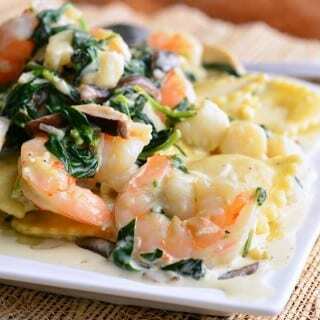 Combine all ingredients for the sauce in a mixing bowl. Mix well. Take out about 3/4 cup of the mixed sauce and set aside for later. Chicken thighs in the package usually look like the are rolled, lay out the rolled piece of thigh meat on the cutting board and cut it in three equal pieces. (It's easier to cut and skewer the thigh meat when they are rolled.) You can cut off some of the fat first if you wish. Add all cut thigh meat to the prepared sauce in the bowl. 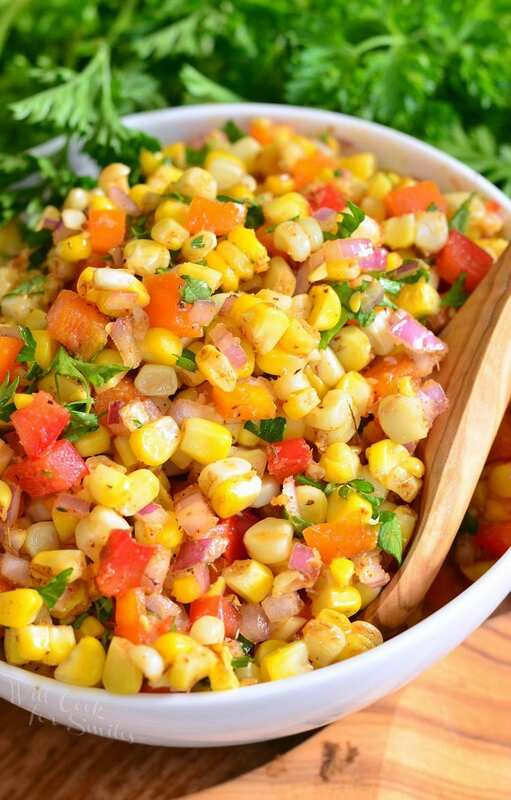 Mix well and let it marinade while you prepare the coals (15-20 minutes). Roll up each long thigh meat strip and skewer it onto skewers. 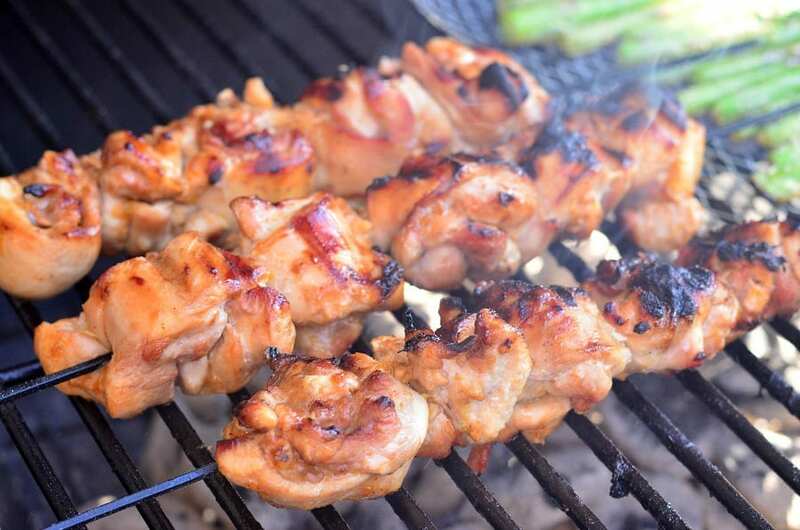 (If using wooden skewers, remember to soak them in water for 30 minutes first.) You should be able to fit 5-6 pieces of meat per skewer. Cook chicken kebabs on the grill, flipping them half way through, until the meat is done. For the coating sauce: use the sauce that you've set aside. 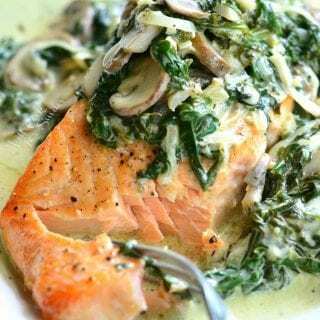 Mix it well and bring to simmer either on the grill or on the stove. If using the grill to heat the sauce, make sure to use a small, thin, metal pot. Cook the sauce, stirring often until it is thickened. Take off heat once thickened. 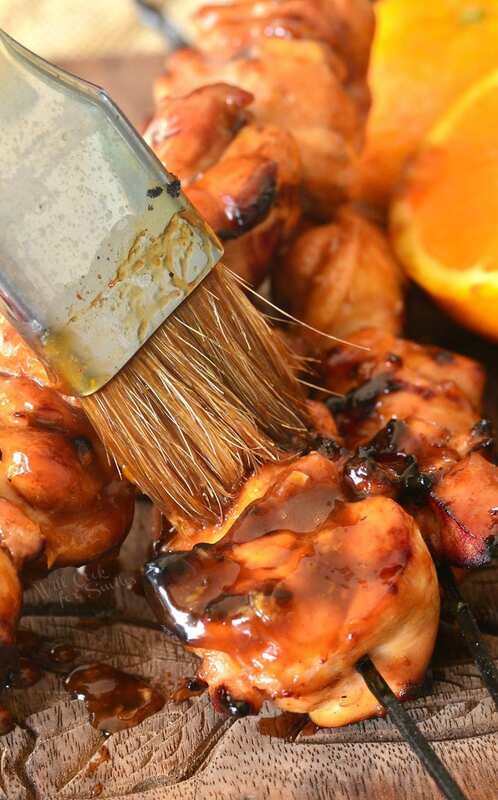 Generously brush cooked chicken kebabs with cooked orange sauce. 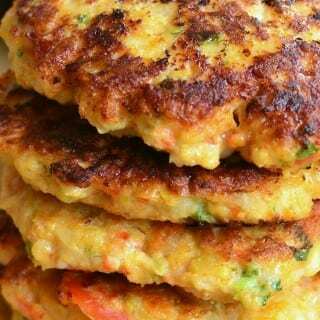 awesome recipe..this is my first recipe from your Blog..followed you on Facebook and will try to follow you on other media..best wishes and good luck..
Hi..sorry to say that i failed to subscribe to your newsletter…i got the following note..” Request forbidden by administrative rules. I’m not sure why it would not let you subscribe unless there is a problem with your email address. I don’t see why a gmail address would be a problem though. Did it let you enter your email address and click subscribe button? Next time I think I’ll double the chili and ginger to give it a little more kick. Also glazing them during grilling might ensure even more flavor and stickiness. Thank you, Thomas! Doubling sounds delicious as well as glazing. Let me know how it goes! I might give it a spin, also. Oh, thank you SO much, Douglas! 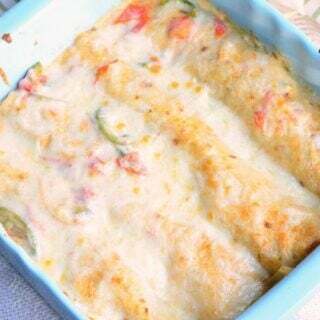 I am so glad that you like and can use my recipes where you live. Thank you!